Peony 'Topeka Garnet' performed so well in my garden this year, I just couldn't help but share it again. 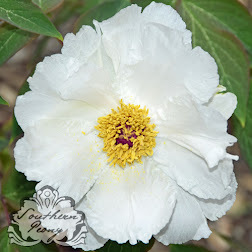 It was just named a Southern Peony Best Performer last year in 2017, and it is very well deserved. This peony has steadily increased in size and blooms every year it has been in my garden. The picture above is what it did in my garden this year, 2018, and the picture below was from last year, 2017. You can see there is a huge difference in both the size and the number of blooms, with unbelievable growth in the last year! 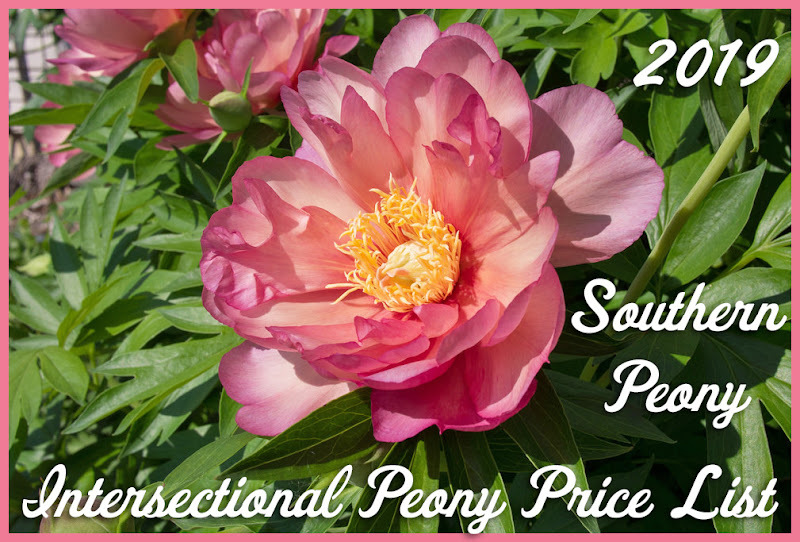 There was such a astounding difference in the photos, that I just had to add this year's photo to the Peony 'Topeka Garnet' Southern Peony Best Performer page. This peony went from 3 stems in in 2013, to 7 stems in 2014, to 10 stems in 2015, to 12 stems in 2016, to 15 stems in 2017, to now 22 stems this year in 2018! The number of blooms on it was amazing. I love it when there is more bloom on the bush than there is green, and Peony 'Topeka Garnet' definitely delivered - with 29 gorgeous, red blooms this year! There's nothing like plant vigor alright, and different varieties really do vary in that. Yes, that is so very true, and as a home grower and also an aspiring hybridizer, this seems to be one of the most important factors to me. Yes, you need a good flower, disease resistance, etc., etc., but without vigor, what do you really have? People don't want to spend a large chunk of money for a flower that doesn't grow much - what a disappointment. Plus how can peony farmers ever get enough of a plant to divide for resell without this all important quality - vigor?